Airtel has joined hands with Shopify to offer latter’s DIY (Do It Yourself) hosted ecommerce solution to SOHO and SME users in India. 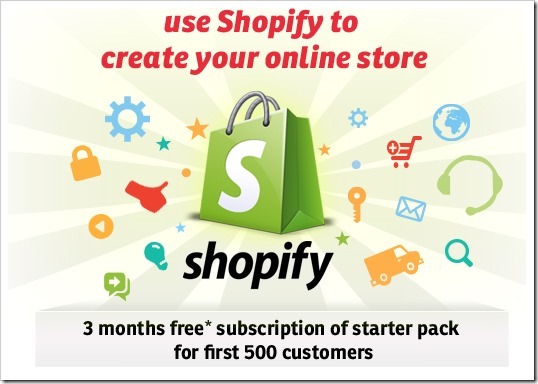 Shopify is one of the largest hosted ecommerce solutions company in the world. Started in 2006, they now have tens and thousands of customers across the world. With Shopify’s tie-up, Airtel SME and SOHO users can quickly create their online storefront and start selling their products online. Shopify storefronts will be powered by Airtel’s Internet products like DSL, ILP and other cloud offerings. Shopify offers customized site templates, an integrated shopping cart, payment gateway, search engine optimization, inventory management, analytics and many other features out of the box, which makes it extremely easy for even novices to build their online store front from scratch. Airtel customers can subscribe to different Shopify plans starting at Rs. 818 (Starter package), which allows listing of upto 150 products and 1GB storage space. Other than they they also have a basic plan for Rs. 1635, Professional plan for Rs. 4388 and unlimited plan for Rs. 9939. All plans include unlimited bandwidth provision and 24X7 phone support. Along with all the regular storefront features, customers who subscribe for these plans will also get $50 worth Facebook credits and $100 worth of Google advertising to kickstart customers online business. As an introductory package, Airtel is offering 3 months of free subscription of starter pack for first 500 customers. It is interesting to see that nearly all online biggies, including Google, Facebook & Microsoft are coming up with various offerings every now and then to ensure that more and more businesses come online. It is afterall a win-win situation for everyone involved!